I’m always on the lookout for sweet fried things to make for my kiddies. Not the most food trendy sentence now is it? I love making them pancakes, crepes, fritters and on Thanksgiving morning, beignets are our family’s special treat. 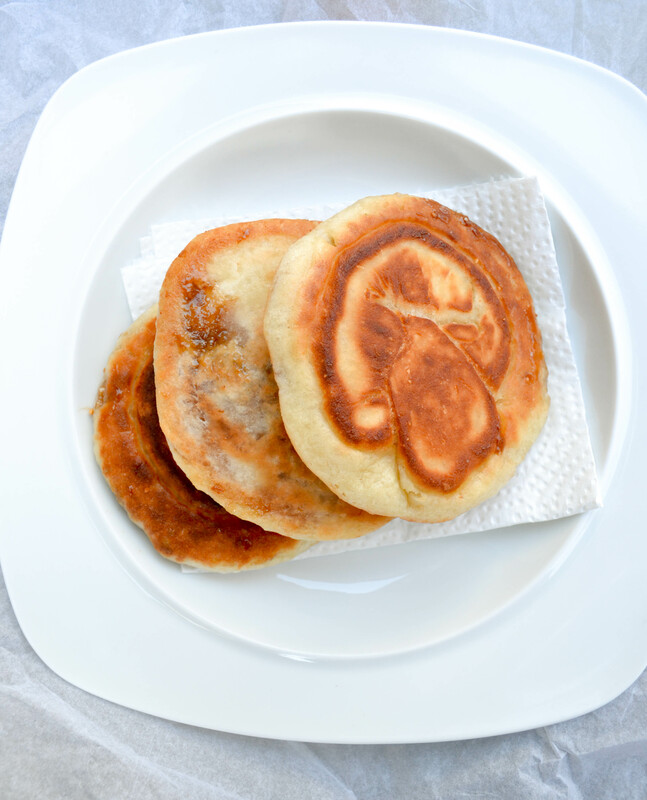 These hotteok are a street food, not a breakfast food traditionally. I don’t remember ever eating these in Korea—I first saw them in a girleatworld instagram post. 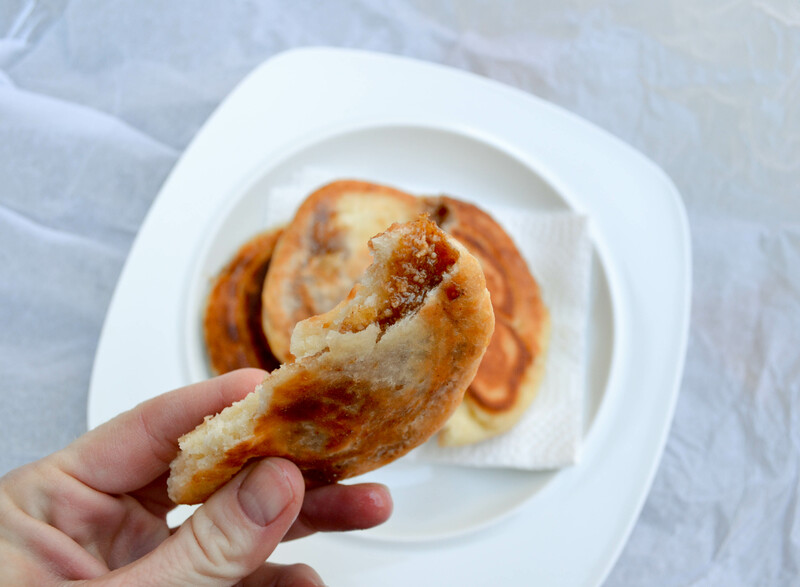 Served hot, they are delicious with a crispy outside, soft and chewy inside and melted brown sugar nut syrup oozing out. 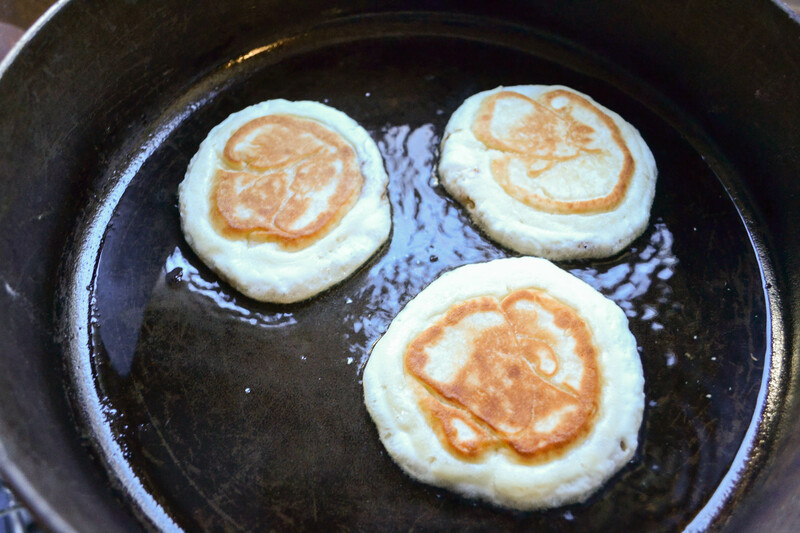 They’re a little labor intensive for first thing in the morning, but you could make the batter the night before or start it early in the am and fry up a batch by brunch time. I made them for an after school snack and then heated up a leftover one with some fruit for my daughter’s breakfast. Of all things, my 8-yr old son wasn’t too keen on them—he said he likes eating ‘hot food with a fork’ and not with his hands! 1) Warm the milk slightly and add in the yeast, sugar and 1 tbsp oil. Stir and let sit for a few minutes. 2) Add in the flour and sesame seeds if using. Mix rigorously for a minute, then cover tightly and let rise for 1 1/2 to 2 hours. 3) Knock air out. The dough will be very sticky. 4) Use plenty of flour to work with this sticky dough. Scrape the dough onto a floured surface. Shape into a log and divide it in two, then divide those halves and so on until you have 8-10 equal-sized pieces of dough. 5) Mix the filling together. 6) With floured hands so they don’t stick, flatten slightly a dough ball in your palm and then cup your hand to form a little pocket for the filling. Add about 2 tbsp of filling and then fold the sides over it and seal the hotteok. It should be a nice round ball shape. Set it seam-side down on a floured surface. Repeat with the remaining dough balls. Cover with a tea towel to keep them moist. 7) Heat up about 3 tbsp oil (I used olive oil) in a heavy bottomed frying pan and add the hotteok seam-side down. 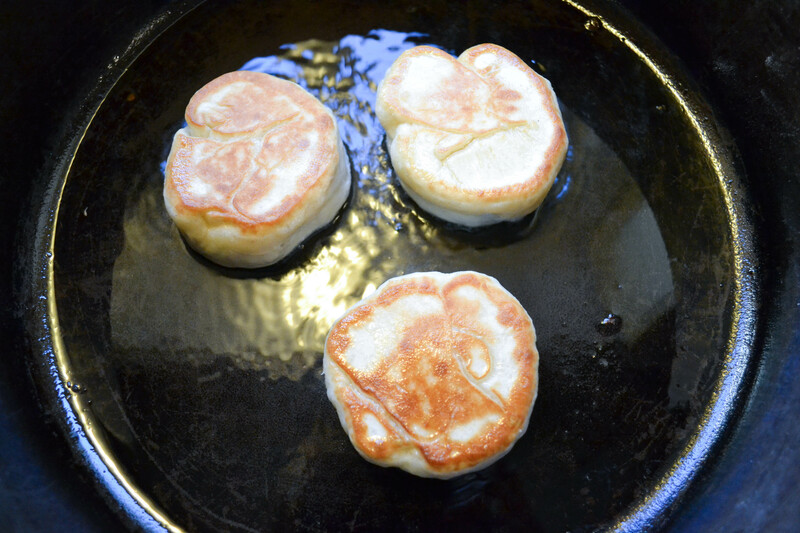 Fry the dough balls till golden brown on the bottom and then flip. 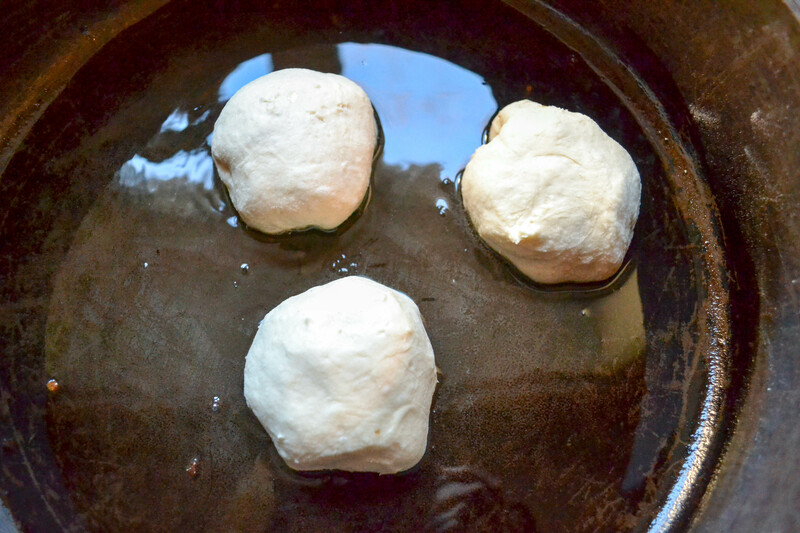 8) With a spatula or hotteok press, press the dough balls down until they are flattened discs. Fry till that side is golden brown and then flip again. When both sides are browned, lower the heat, cover and cook for another minute. Serve straight away. They must be nice and hot!